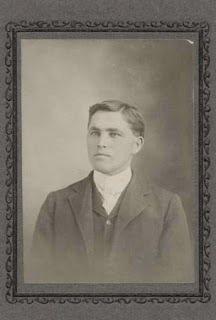 Alvin Allen Larkey was born on 30 Jul 1881 in Scott Co., VA to John Ketron Larkey and Mary Louise Nickels. He married Ella Beatrice Trethewey on 18 Aug 1910 in Spokane Co., WA. Photo from Michael Marcotte.